So far, 2018 is all change for social networks. First, Facebook announced a significant new business direction, leading to changes to the News Feed algorithm; and now Instagram has introduced “direct publishing” for business profiles. Direct publishing means post publishing will be automatic, similar to Facebook/Twitter automation. Nothing has changed for personal profiles: you still have to post “manually” from your phone. This is just for business profiles. Only Facebook/Instagram’s Marketing Partners can access this new API feature, which is in Beta. In December, Facebook announced a new business direction – wanting time spent on Facebook to be more meaningful, with a particular focus on interaction with others, rather than passive browsing. Academic research supports this (funded by Facebook) into the impact of social networks on personal well-being and mental health. The apparent message: Facebook values the well-being of its personal users over its business customers. This news is also a stark change of direction for Instagram – regarded for some time as the last remaining platform that still felt personal, like the “good old days” of Facebook; a great place to share personal updates and photos with friends you know. Instagram’s long-held policy of not allowing automated publishing has put off many businesses who are now used to low-effort (and often high-volume) scheduled marketing messages. Plus Instagram has previously shut down unauthorised tools that offered automated publishing, apparently to protect the existing ethos of the platform. While Facebook may have started as a personal network for university students, it’s come a long way since then. Now it’s safer to think of it as a media delivery network, with the typical business model of marketers paying to reach their audience. Facebook has been refining the News Feed algorithm with this in mind for a long time. It seems fairly clear that Instagram will follow the same path: initially encouraging businesses to join, making it easy for them to build an audience of followers, and then enjoy the free organic reach of the platform. 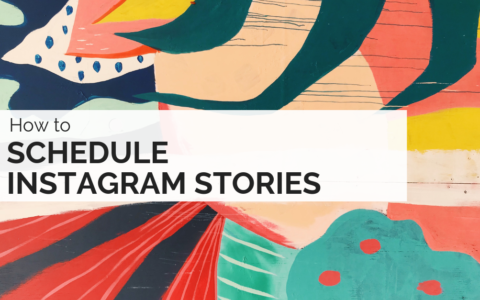 Once the platform reaches a saturation point, due to the ever-increasing volume of business posts, the Instagram algorithm will change to favour personal or high-engagement content, and organic reach for businesses will dwindle. By this time, enough businesses should have a large enough following, and have invested enough resources in the platform, that they will be willing to pay for posts to reach their audience’s news feeds. Once again, it’s a case of “make hay while the sun shines”. For years, social professionals have been saying that social media is meant to be about engagement – not just broadcasting – and Facebook’s recent change in its mission statement, from helping people find relevant content, to helping people have meaningful connections, reinforces that. To keep organic reach high, social media marketers really need to knuckle down and have conversations with their peers, audience, influencers, and treat them like people, not statistics. Of Instagram’s ~900 million monthly active users, 25 million are currently business profiles. The growth rate for business profiles was already high, but that’s likely to see a fairly dramatic bump in the immediate future. We foresee that businesses will rush to take advantage of direct publishing. This change may also entice new businesses to dip their toe into Instagram waters for the first time. How quickly will the increased volume impact business profiles’ organic reach? All signs point to this eventuality, and it’s the marketers who plan ahead who will come out on top. To prepare for the future, start developing high-engagement content now, while you have the advantage of the organic reach to test it with. Businesses who keep a personal profile may actually see their reach increase. Just as Facebook has confirmed that the revised algorithm will favour personal posts over business page posts, it’s highly likely that over time the Instagram algorithm will show more posts from personal profiles, resulting in higher engagement. These offer great business benefits such as Instagram insights, ads and promoted posts, a contact button on your profile, the ability to add links to stories, and now direct publishing (via Facebook/Instagram Marketing Partners). Note: currently #hashtags in captions, locations, and user tagging are not supported through direct publishing. The downside is the potential loss of organic reach over time; as the volume of posts from business profiles increases, creating fiercer competition for news feed space, Instagram will adapt their algorithm to favour posts from personal profiles. 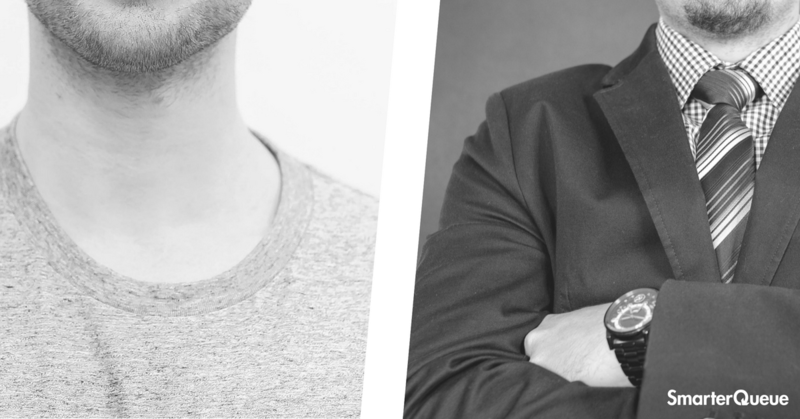 From an engagement perspective, these profiles are also inevitably less personal. This creates a potential barrier to conversation and relationships. The only other thing to note is that business profiles must connect to a Facebook Page. Unlike business profiles, there is no access to paid advertising, the contact button, or Instagram insights. It will still not be possible to use direct publishing or add links to Stories. The big advantage for personal profiles (in terms of business use) will be greater organic reach than your competitors. You’re likely to be working with a quality over quantity methodology and focusing your time on high-engagement content. Consistently posting engaging content will help you benefit the most from the available organic reach. Whether you’re already a newb or a pro, you need to remember one thing. The posts that work well on Instagram will still look like personal posts, not just broadcasting marketing messages. Engagement now means conversation, not just likes. It’s all about inviting your audience into a more personal relationship with your brand. This decision is all about what kind of Business Instagrammer you want to be, or what best suits your business. Focus on creating conversations and engaging with your followers and you’ll be off to a great start. Right now “direct publishing” is only available for Facebook/Instagram Marketing Partners. Unfortunately, SmarterQueue isn’t currently enrolled in this program. We are hoping to be accepted as a partner, and as usual, we’ll keep you updated with our progress. Meanwhile, we are working on further improvements to our Instagram scheduling. These include re-usable hashtag lists, and a grid preview of your Instagram profile to keep it truly picture perfect. Sarah Lockwood is Head of Marketing & PR for SmarterQueue, based in London, UK.